Getting around South Cebu is a fun activity with your friends. Others call it “Round South” hence, the latest term for it is “Suroy-Suroy Sugbo”. This is a road trip going around southern provinces of Cebu. This can be done in one full day or two, depending on your preference. Having to visit as many places as you can also depend on your pace. Remember, each town has more than one attraction so, pick those that are most appealing to you. 1. Offer prayers to Miraculous Mama Mary of Simala, Sibonga. This European-inspired architecture of the Shrine has gained numerous visitors every day. People are coming here for prayers of petition and thanksgiving for answered prayers. The surrounding is totally huge and undoubtedly beautiful. 2. 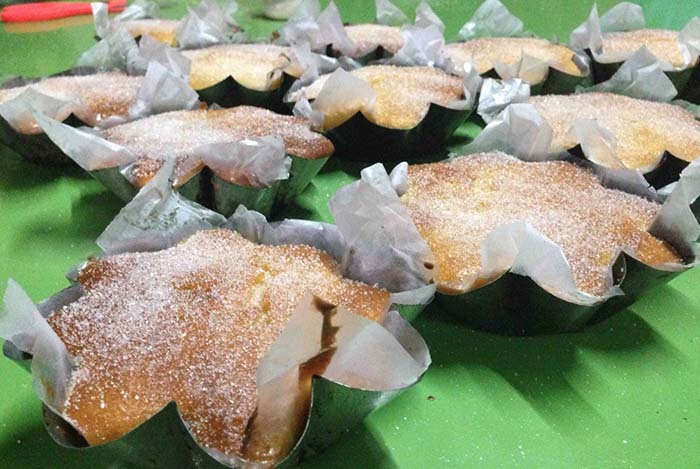 Buy Argao’s famous delicacy, torta. Torta is the primary product of the town and it is the major pasalubong for tourists. Its secret ingredient, “tuba” (coconut wine) makes Torta de Argao distinct among others. Drop by St. Michael the Archangel Church and Cabecera de Argao, where you can find a giant statue of the torta. 3. Visit the Vegetable Basket of Cebu in Mantalongon, Dalaguete. The best source of vegetables is located here. Loads of baskets of vegetables are being transported everyday to the city and will be sold in the markets. The cool weather in town helps in enabling the vegetables to grow fully. If you are up for a hiking experience, climb Osmeña Peak, the highest peak in the South. 4. Catch the view of Tingko Beach, Alcoy. The beach is located just along the highway so, you will never get lost. Cottages are available at an affordable price. The beach has fine white sand and blue water. You may spend a little time here to relax and then, proceed to your next destination. The fascinating Ili Rock has been Boljoon’s pride. Before you can trek on top of the rock to have a better view of the whole town. Now it is disheartening to know that the government has pulverized the area and the trees are scraped off. According to authorities, it is a must to prevent landslides in the future, which might cause more danger to the people. You can visit Boljoon Plaza and Boljoon Church. 6. Swim with the whale sharks in Oslob. You may want to consider spending the night in Oslob after the tour. On the next day, you can do the whale shark watching/swimming. Visit Tumalog Falls or have an island hopping at Sumilon Island.